The Painters’ Company Scholarship Scheme was established in 2012 to support undergraduate students every year at London Art Colleges. 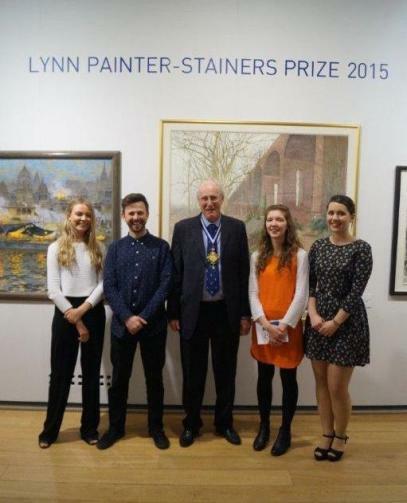 Each student receives £5,000 annually from the beginning of their second year until they complete their undergraduate studies, and they are known as a Painters’ Company Scholar. The students are selected entirely on merit and this is the meritocratically awarded scholarship for art students in London today. In addition to the financial award, these students will receive support and encouragement from the Company in other ways – mentoring, advice on specific artistic issues, lectures and perhaps a small exhibition of their work at Painters’ Hall and/or another central London location. This one year course at the City & Guilds of London Art School was established in 2016 and is for fine art graduates.